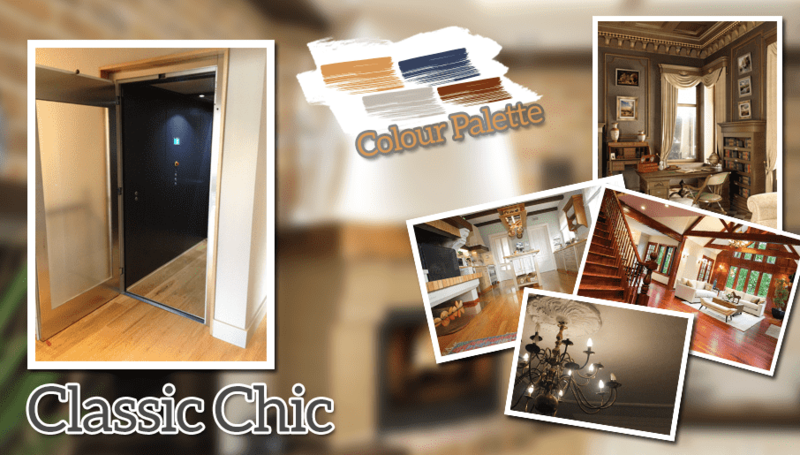 Many people think that having a lift installed in your home means having a large piece of equipment that doesn’t fit in with any of your interior design – making your room look mismatched and unattractive. However, as experienced lift providers, we know that this is simply not the case. When properly thought out and designed, your lift can fit in perfectly with your interior – no matter what style you may have chosen for your home. 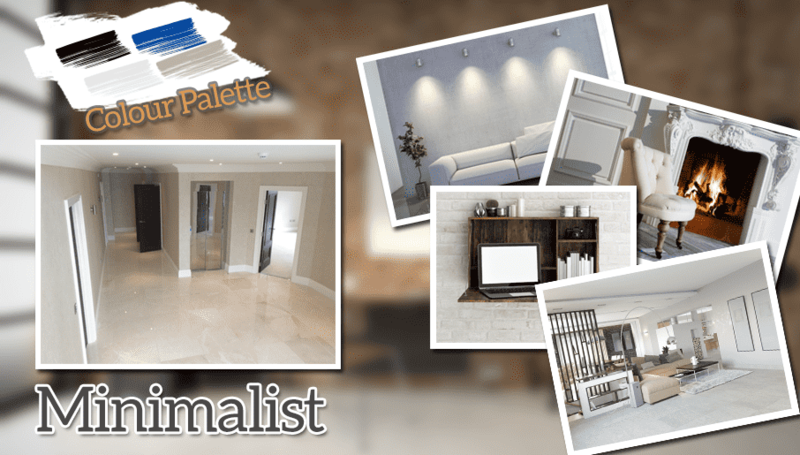 If you’re looking to have a lift installed but are need some inspiration as to the style you want, here are three mood boards which show just some of the interior styles that you can achieve with our lifts. 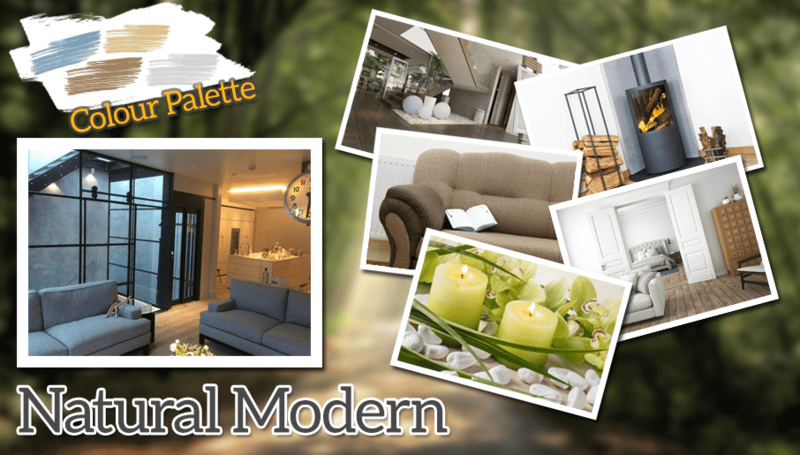 Nature inspires many interiors, and the natural modern style is a perfect mix of stylish and refreshing furnishings. Just because a lift isn’t considered to be a natural object, it doesn’t mean that it can’t fit in seamlessly into your natural modern style home; just take a look at our collaboration with Adaptahaus for a wonderful example of how this can be achieved! If you’re more of a traditionalist, then your home may take on a more classic, traditional look. From stone features to cosy carpets and natural wooden flooring; your home will value comfort over looks – but will still look incredible! Lifts aren’t really a staple in any home, let alone a traditional one – but don’t let that put you off installing a lift! They can integrate pretty well! In fact, you don’t get much more classic than the Durham Cathedral, so be sure to take a look at how we seamlessly integrated a modern lift in such an iconic setting! Not a fan of clutter around your home? Minimalist is probably the style that you’ve created within your home! With simplistic colours and not much going on furniture wise, you may be put off installing a lift, fearing that it will clutter your home and spoil the clean, spotless style. Fear not; lifts can be added into even the simplest of room styles – you probably won’t even be able to tell that it’s there! Our Tower Hamlets project covered this minimalistic approach perfectly! Your home doesn’t have to look messy or crowded when you have a lift installed, and that’s exactly what our experts here at Axess 2 are here to help you with. Our lift designers can help you create a lift which fits in with the rest of your home; keeping it stylish and functional at the same time! If you’d like to find out more information about our lift design service and how it can benefit you and your home, feel free to get in touch with our team today where we will be more than happy to help you find the perfect lift for your needs.